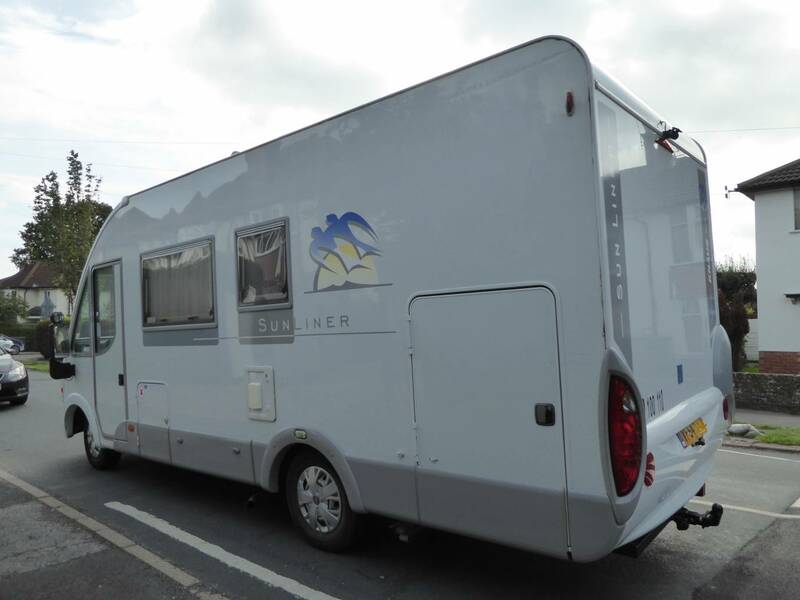 Call with any questions on 01423 609985.This Knaus Sunliner 658LG left hand drive motorhome, was first registered in February 2005 and then in the UK during January 2007. 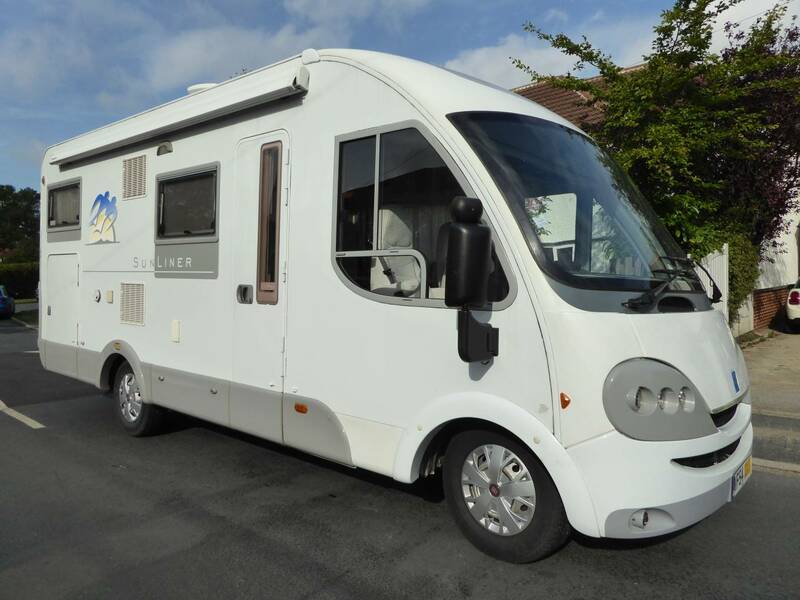 The previous owner lived in France for several years and there is a record of service every year, most of the French MOT's and metriculation until October 2019. 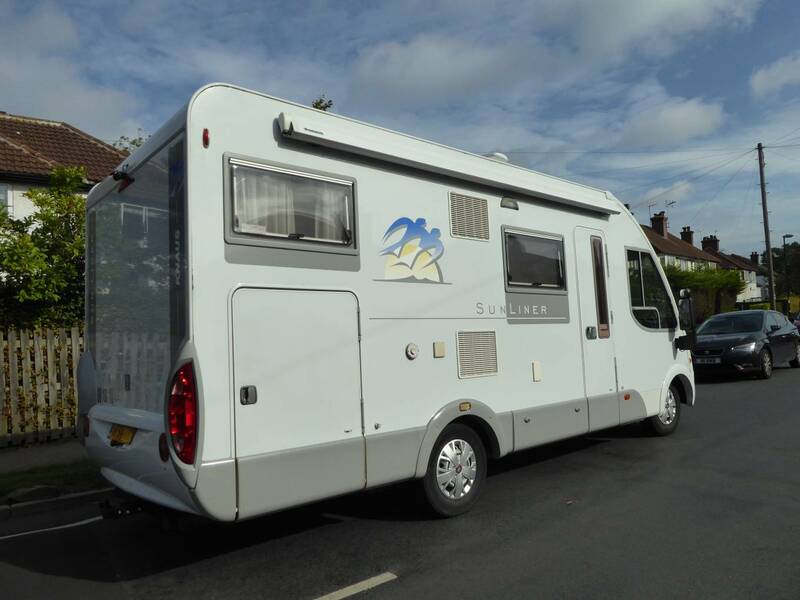 It is an A Class motorhome in very good condition both inside and out. 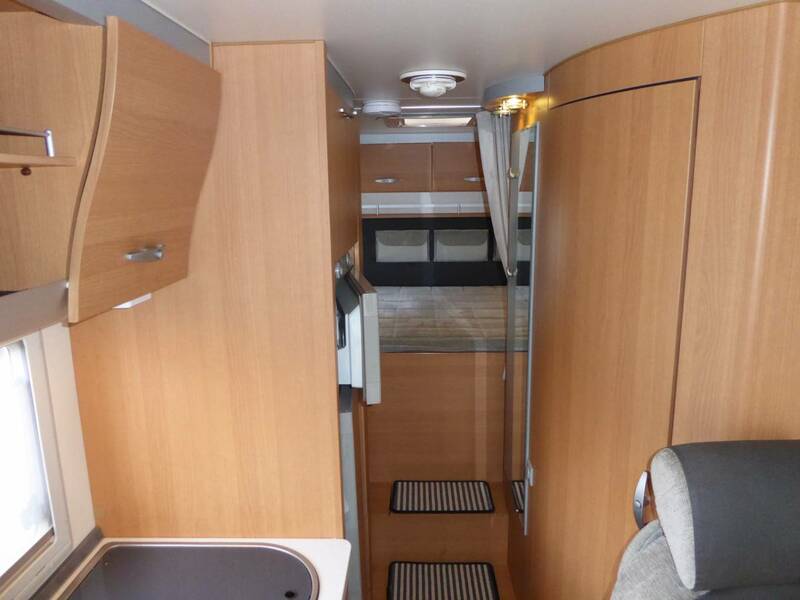 It has travelled 93377 miles, has fantastic service history which can be seen within the additional photos. 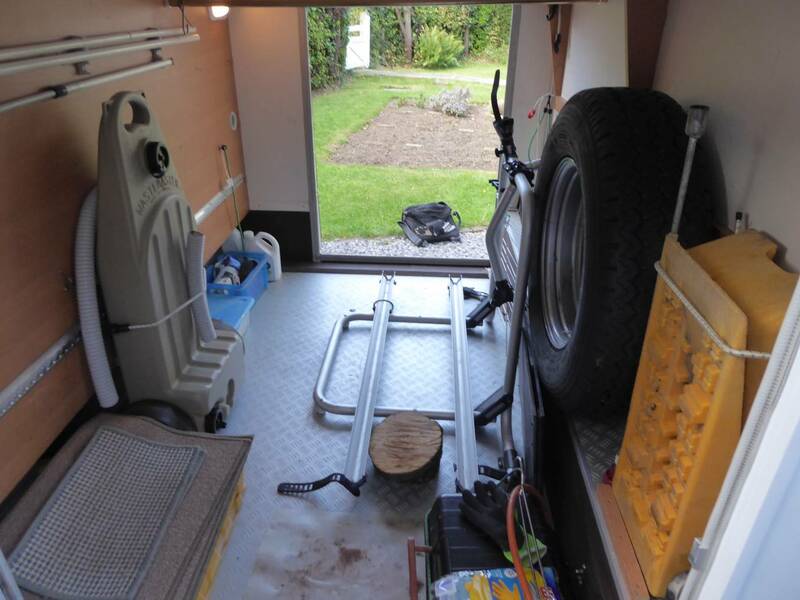 Externally it has a gas BBQ point, access from both sides to the cavernous garage, which already a bike rack fixed inside which caters for 2 push bikes with space for a scooter if the need arose. 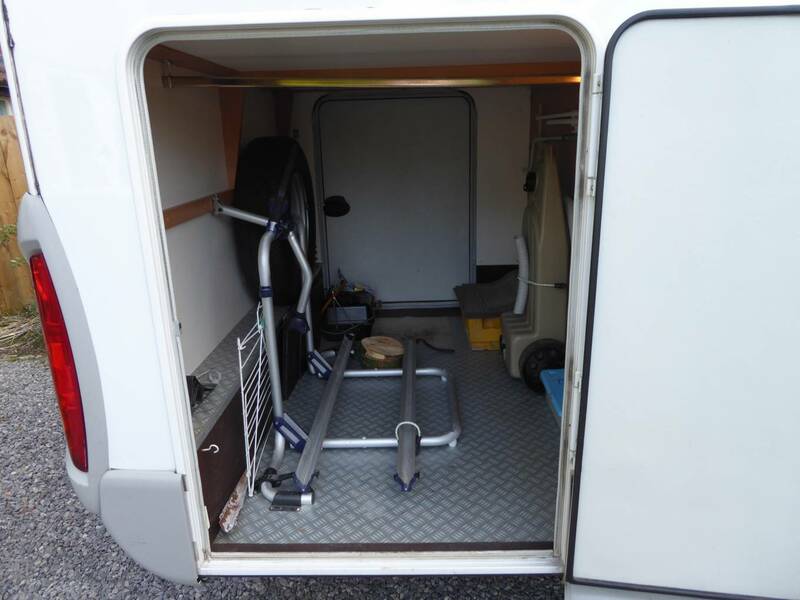 This garage has plenty of extra space for other belongings alongside the bikes. 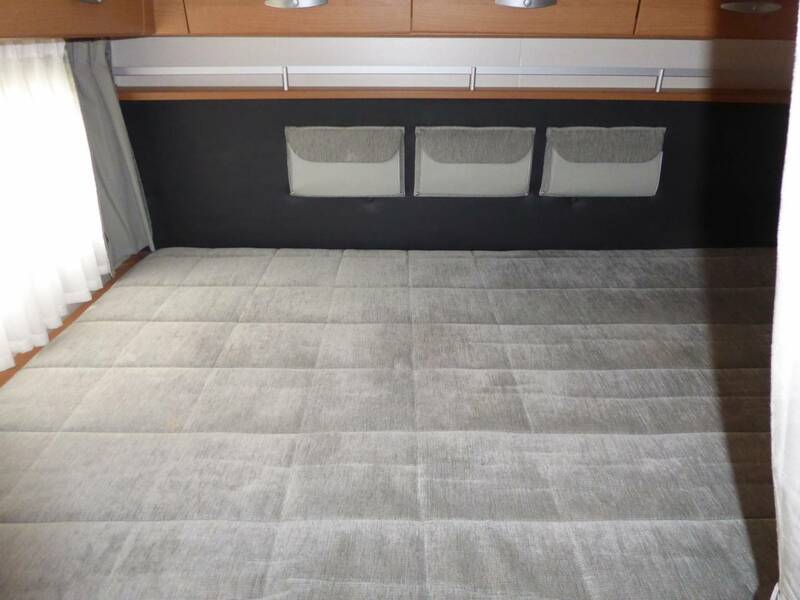 Additionally this winterized motorhome has underfloor storgae which covers the whole area underneath the habitation area and would be suitable for skis, chairs and the like. 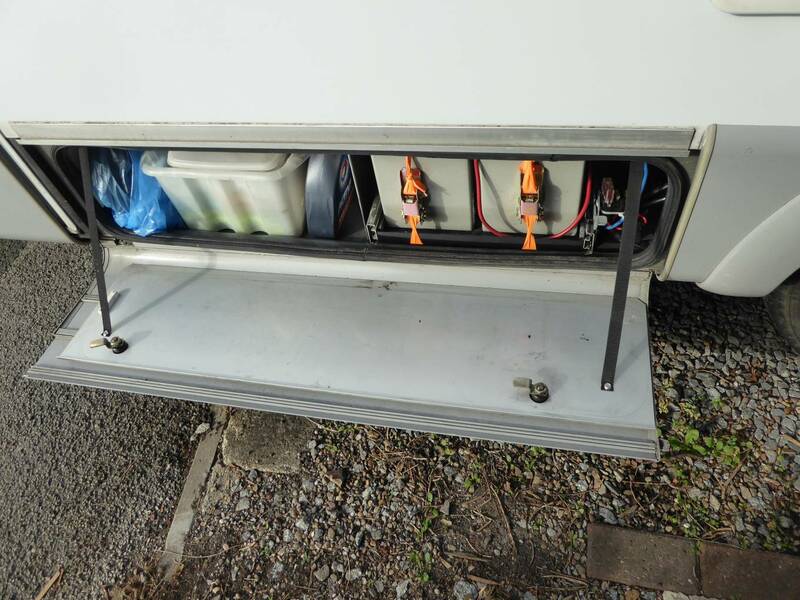 There are 2 Gaslow LPG bottles, 300-watt solar panel and 2 leisure batteries. 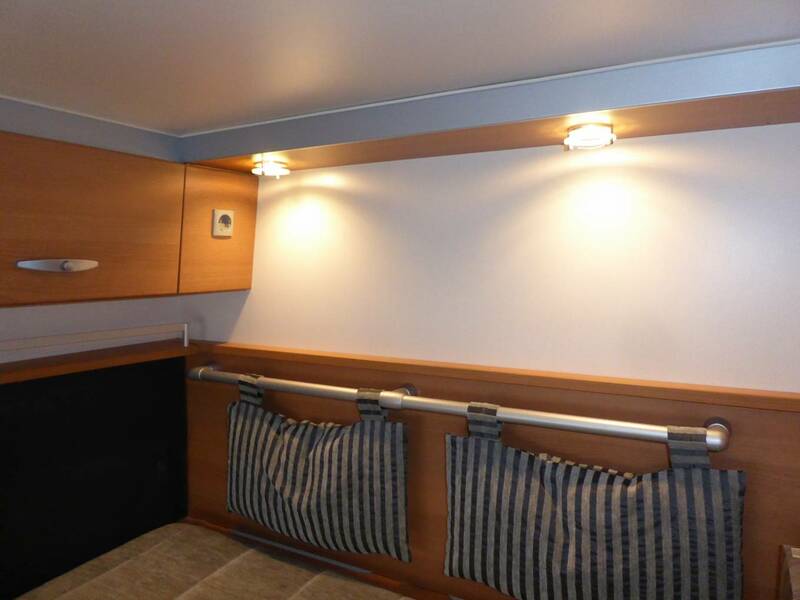 Internally at the rear you will find the fixed bed which can be accessed by the steps which include integrated storage cupboards. 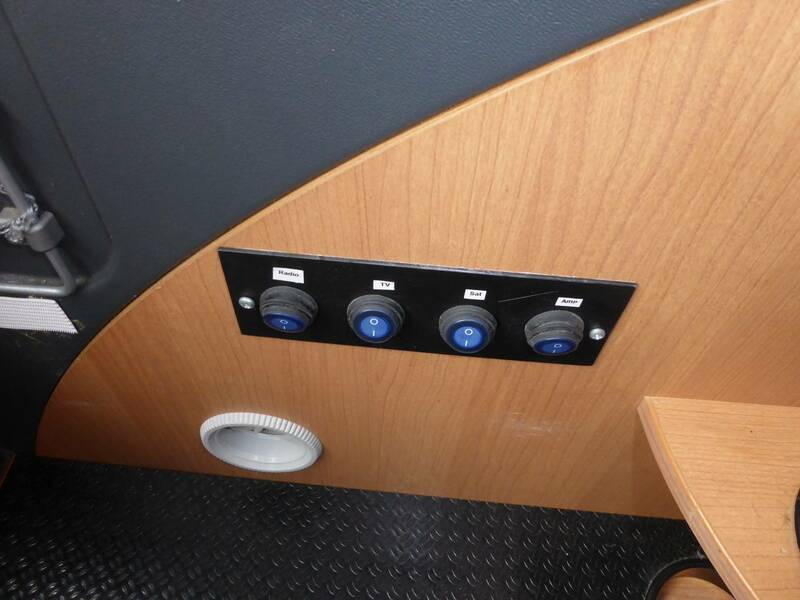 There is a huge amount of storage in this area, a theme that is reflected throughout the motorhome. 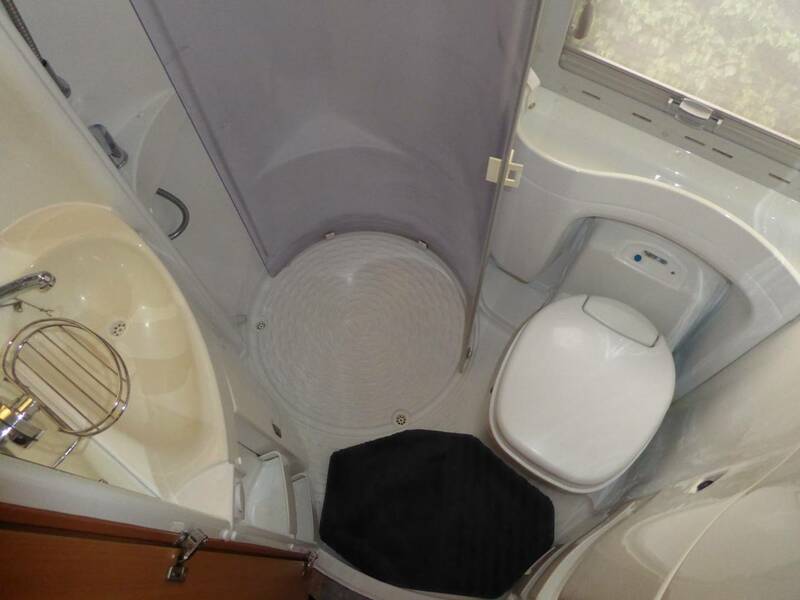 The washroom includes a toilet, sink and large fully enclosed circular shower cubicle. 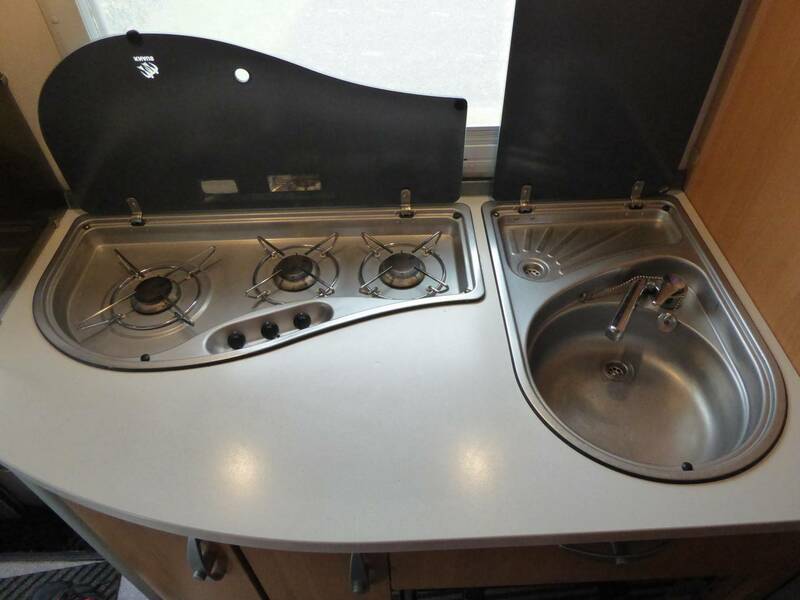 As you move forward into the kitchen, there is a stove with 3 gas burners next to the sink and under the worktop a SMEV grill, a rarity in such motorhomes. 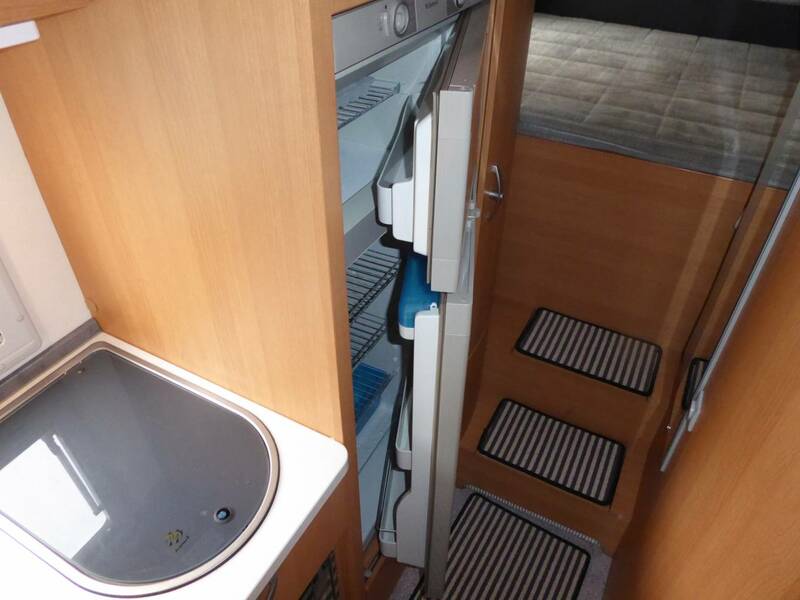 The fridge is large and sits below the separate freezer. 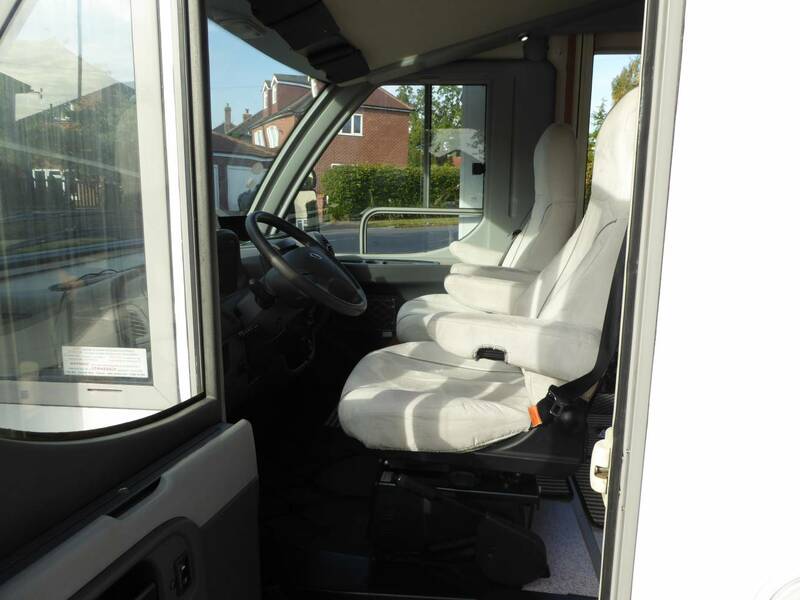 In the front lounge there is 2 forward facing seats with full seatbelts and this makes into a nice sofa running along the nearside. 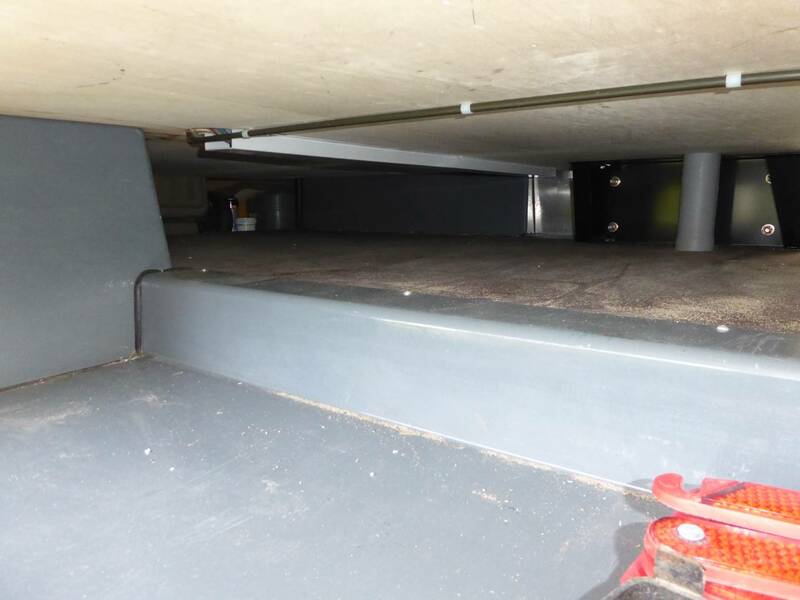 Under here is a safe and above an electric rooflight. 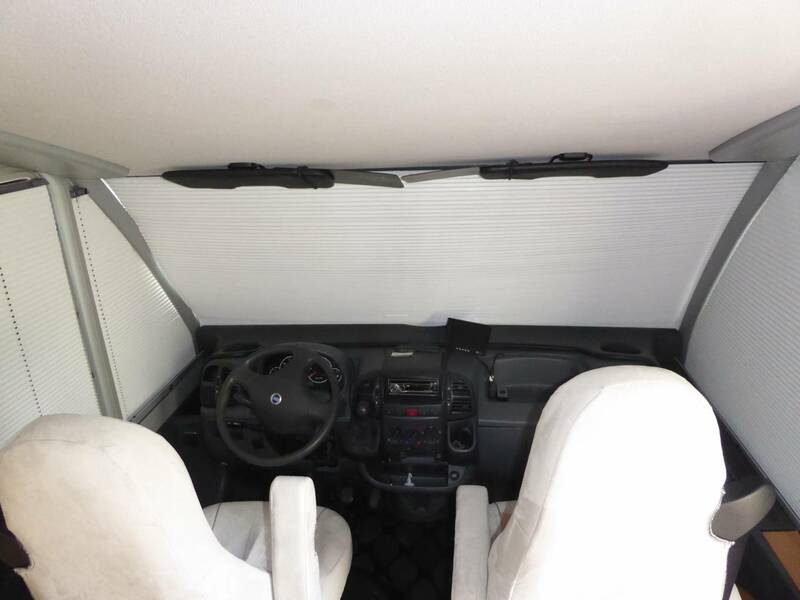 In this area you will find the transverse table which can be moved from side to side and front to back. 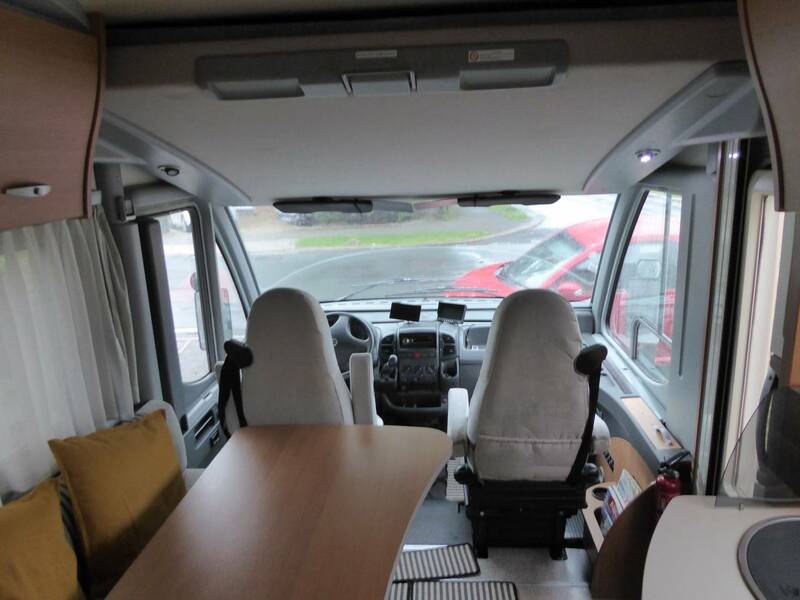 Upfront both captains seats swivel, there is a reversing camera, cab air conditioning, a 5-speed manual gearbox which powers the ever reliable and powerful 2800cc engine, cruise control and of course it has the great view which you can only get from an A Class motorhome. 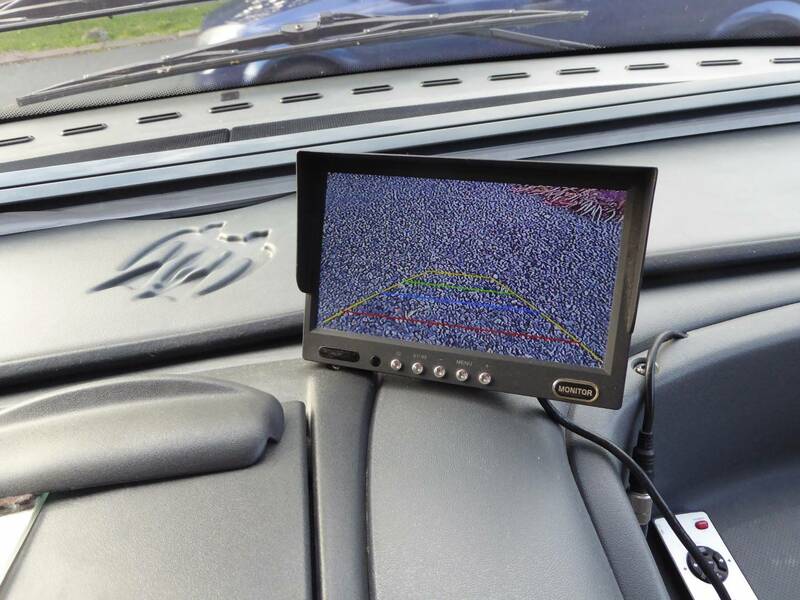 Conveniently there is a TV next to the passenger seat which is compatible with satellite TV throughout Europe. 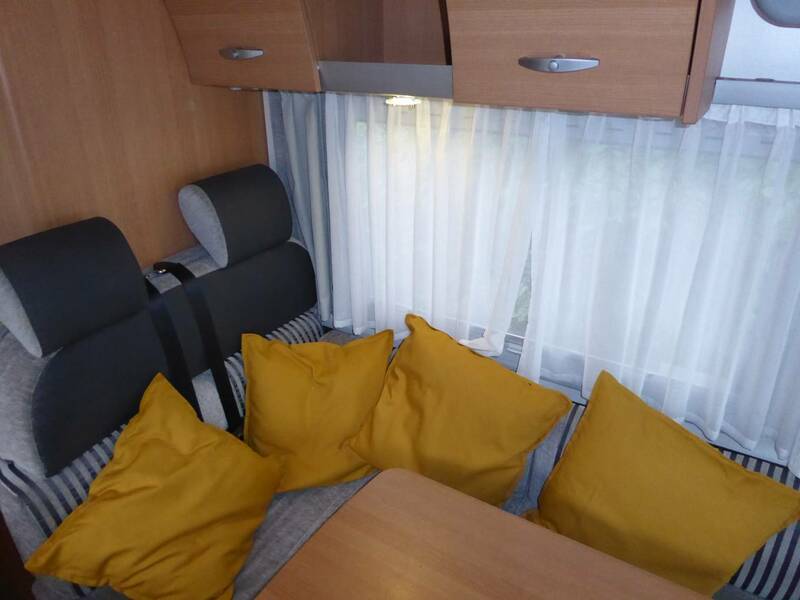 The large over cab bed can easily be pulled down to create a comfy double bed. 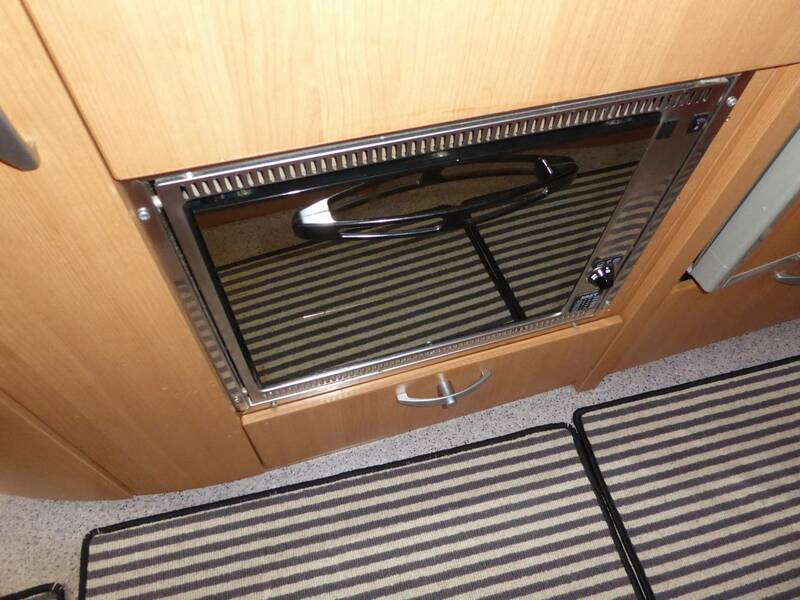 A small but additional point is that all the locks internally on the cupboards are really secure. 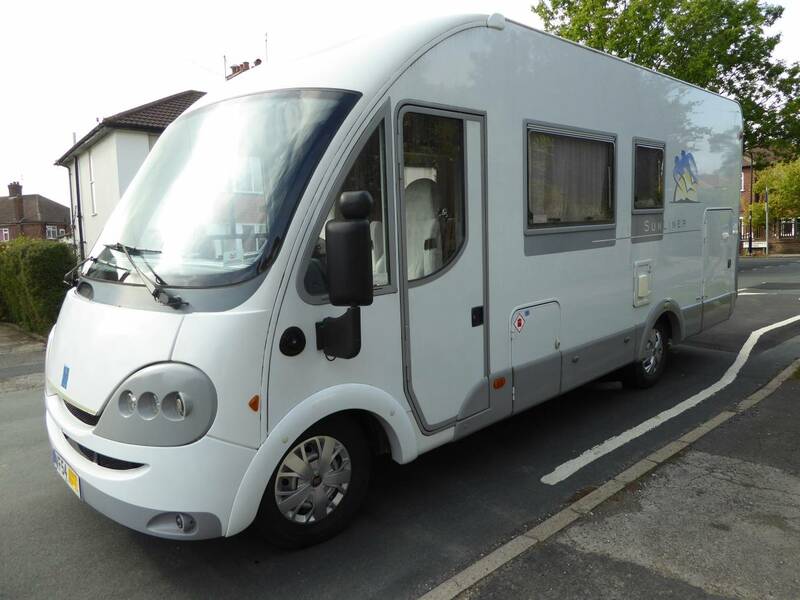 Overall this motorhome is a well maintained and well-presented A Class motorhome which should be seen at the earliest opportunity. 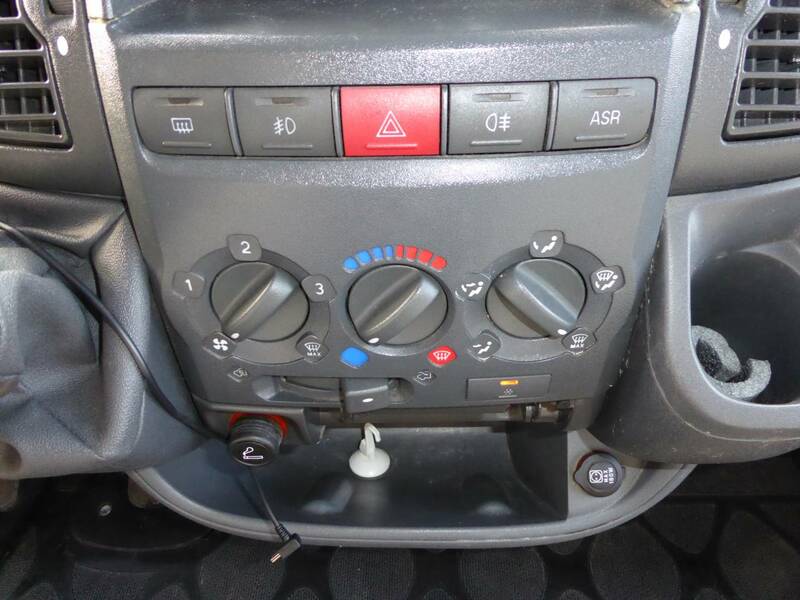 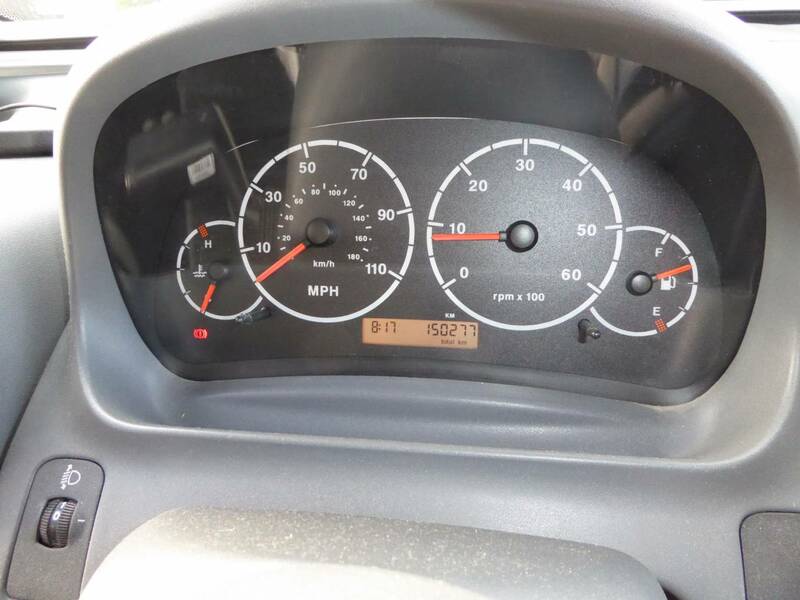 Part exchanges are welcomed on this vehicle, for further information please call us on 01423 609985 quoting reference number 16095.